Join us for our annual gathering - the biggest gathering - of the global Umbraco community in Odense, Denmark. At this year's Codegarden we will spoil you with a plethora of high-quality sessions from community experts, the Core team and acclaimed keynote speakers, announcements from Umbraco HQ, in-depth workshops, an exclusive masterclass and the opportunity to influence the future of Umbraco. Codegarden 18 is over. Aaaaw! But you can already sign up for Codegarden 19! Yaaay! Codegarden is hosted by "Umbraco HQ" which is the unofficial name for "Umbraco A/S" the company behind the Umbraco CMS. 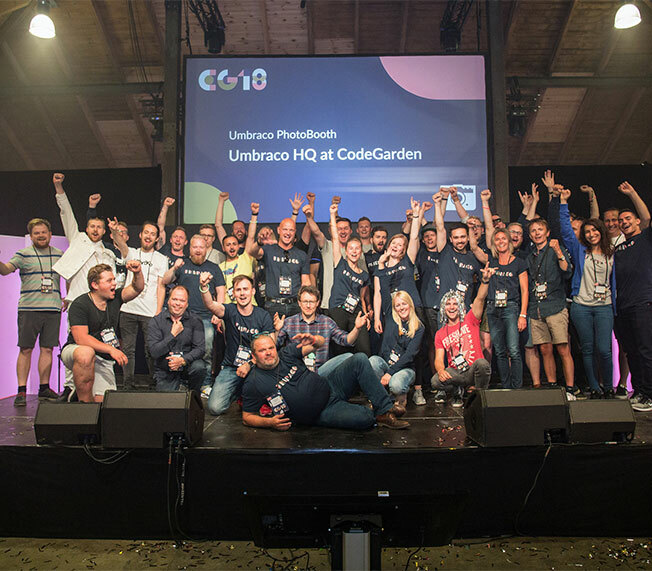 Codegarden is often described as: "A conference like no other" and it is important to Umbraco HQ to keep it that way. Both in the sense that Codegarden is not commercial as you may know from other conferences that are filled with sponsor booths, logos and sales reps. And in the sense that quality content is the top priority. The ambition is to create a friendly surrounding for Umbraco community members to meet, learn from the best and have fun. Yes. 33%! You won't be able to go on this official certification course any cheaper, anywhere. It's an extraordinary chance for Codegarden ticket holders to up their skills in Searching and Indexing in Umbraco - maybe even get that 5th tick which will enable you to keep calling yourself a Master? 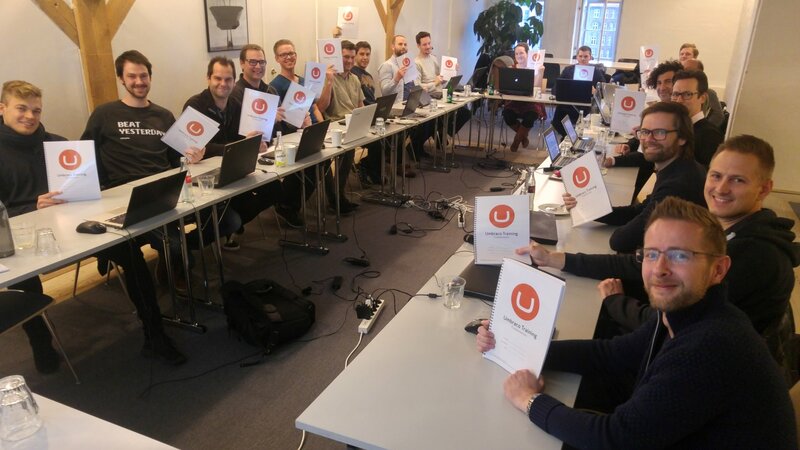 Doing official Umbraco training means you'll have documented hands-on skills, you'll earn official certification point and most importantly, your new skills will be based on the very best practices, making your job even simpler. Training will take place on Tuesday the 22nd of May. So you picked the right technology, now what? WTF are we even doing here? World premiere of Uccelerate - don't miss it!!! As part of the Codegarden ticket, you get the chance to go to one of our 3 fantastic half-day workshops - for free. Sign-up opens on the 8th of March and there's limited seating at each workshop. Each workshop is indeed a great opportunity to dive deep into a subject with an experienced instructor. You'll get hands-on tools to bridge the gap between developers, non-technical project stakeholders and creative teams. The material is based on the instructor's own experiences as well as those from her international network of peers. Join this workshop and get personal feedback on your current challenges. Learn to avoid the most common security mistakes people make when delivering websites. And be surprised by how easy it is to avoid them. Get tools and methods to make your Umbraco project even more secure. There is plenty of time to discuss and your teacher will explain why some things make sense while other things are nonsense.